An electric bike gives new and experienced riders an additional boost when they need it so they can safely, and comfortably get from point A to B. Electric bikes are an excellent option for commuters, riders who want to reduce their car use or those who want less resistance because of knee or leg ailments. The ReviewLab team performed in depth research to find the best e-bikes available, including those best for mountain biking, winter riding, and even inexpensive foldable options. Read through our buying guide below to inform yourself on important aspects you may want to consider when deciding on an electric bike like weather, terrain, battery power, and pricing. Also included below are individual reviews of our top picks for our selected categories to help make the buying process smoother for you. Read more about our methodology. The Addmotor MOTAN Electric Bike is our top pick. It can be conveniently folded up for transport or storage. It also has tough, durable tires that can handle a variety of weather conditions. It’s a great choice for a variety of riders, from commuters to those wanting a leisurely ride. The ProdecoTech Phantom X R V5 Electric Bicycle can’t be folded up but it’s a stylish option for riders who don’t want a bike that screams “I’m electric!”. Its understated design, paired with a powerful motor and quality construction earned the bike its place as our best overall runner up. The Cyclamatic CX2 Electric Foldaway Bike is priced just right. It has significantly longer range and a larger weight limit than similar budget models. Users can go further on a single charge and the bike is suitable for heavier riders or commuters with cargo. A back rack makes it a great option for anyone who needs a bit of extra storage room. The Swagtron SwagCycle Folding Electric Bicycle is a super compact option at an affordable price. It offers an easy to use design that makes it a good choice for those who want to ditch their car for errands or short commutes. With a frame and tires made for off-roading, the Ancheer Power Plus Electric Mountain Bike is a great option for riders who want a little bit of a boost. The bike’s great range will allow users to enjoy riding trails without worrying about having to recharge. 4-inch fat tires and a quality suspension system make the Cyrusher Fat Tire Electric Bike our top choice for winter riding. The tires can handle less than ideal conditions and the bike won’t slip and slide when winter ice and sleet come along. The Razor MX650 Rocket Electric Motocross Bike features a powerful motor to give users a traditional dirtbike riding experience without the high price tag. The classic dirtbike design gives the Razor an authentic look and a decent suspension system makes this a greater starter option for would-be dirtbike enthusiasts. Ask yourself where you’ll be riding your bike the most and what kind of weather you’ll be cruising through. Knowing this will help you to narrow down your selection. Off-road conditions will necessitate a bike with chunkier, more durable tires. An aggressive tire tread will also help with riding through snow and ice should you decide to bike during the winter months. A fat tire bike is the best choice for those who will be riding in the toughest of conditions. You’ll also want to ensure that, if you’re expecting to ride In rainy or wet conditions, your chosen e-bike’s construction is water resistant or waterproof to ensure the electric components are well-protected. A variety of the e-bikes featured on this list are foldable. What’s the advantage of a folding bike? Generally, they’re a lot easier to transport since they usually weigh less than traditional bikes. 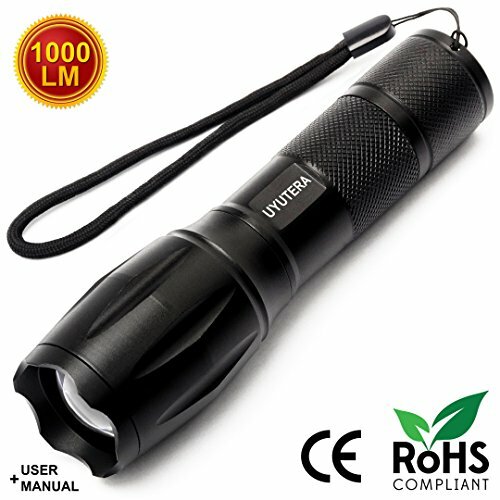 Their portability makes them a great option for frequent travelers or commuters. If your ride to the train or to work is a bit uneven, you’ll want to ensure you choose a folding bike with some shock absorption since not all come equipped with this feature. The battery life of your chosen e-bike makes a big difference in how far you can ride it. Some electric bicycles will come with a removable battery, which allows users to bring a backup along with them. Most bikes can travel up to 30 miles on a single charge. Some bikes, like our top pick, are able to go even further. Different bikes will offer a variety of modes for riders. Some models give users the ability to use full electric power while others provide assisted pedaling power. The majority of e-bikes will allow users to pedal on their own should they desire or if the bike’s battery dies. Some models do not have pedals or a human powered option so you’ll need to pay attention to the maximum range of the bike to avoid being stranded. Find out what the laws in your area are when it comes to electric powered bikes. Be cognizant of the speed limits in your neighborhood as well. Just because you’re on a bike does not mean you are allowed to whiz through stop signs and red lights. Safety remains an important concern. You’ll also want to pay attention to helmet laws where you are. In some places, it’s illegal to ride a bike without a helmet and if you do so you may incur a fine. Electric bikes tend to be pricier than standard bicycles because they include additional parts such as a motor. 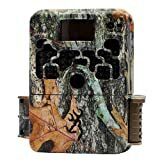 They range in price from just under $400 to well over $1000. Regardless, there are still inexpensive options available. Usually, budget options are smaller in size and are often foldable. Cheaper options tend to have less range but that’s not always the case. More expensive e-bikes will often offer up the most durable construction and will be able to handle more of a weight load while maintaining speed and power. 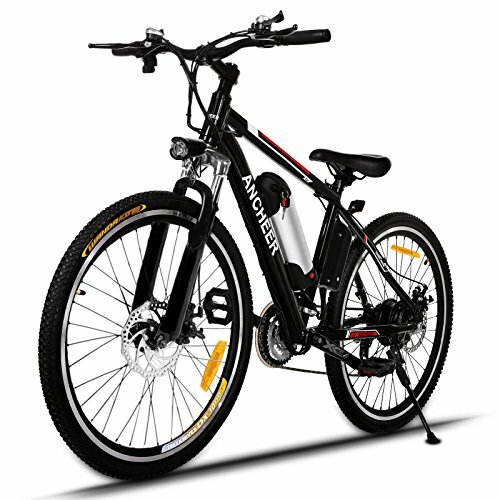 Its durable construction and versatility helped to earn the Addmotor MOTAN Electric Bike its place as our top pick. The e-bike can be folded and rode in a variety of weather conditions thanks to its thick tires. An excellent battery life gives this bike the longest range of any on our list. The bike's electric components are safe from water damage so riders can head out even when it’s raining. Sturdy strong construction without being too heavy. The bike can handle a maximum weight limit of 300lbs but is light enough for portability. Easily foldable. Users are happy with how easy it is to fold-up the e-bike for travel or storage. Oversized tires provide good traction. Reviewers comment on the fact that the 20-inch fat tires provide enough grip to ensure a stable ride. According to users, the bike also rides well in a variety of conditions. Smooth transition when shifting gears. The bike features 7 gear speeds and an easy to use half-twist throttle control. Easily rides uphill. Reviewers also add that riding uphill is a breeze all thanks to the powerful 500W motor. Easy to assemble. Simple to put the bike together. Excellent battery life. Reviewers agree that the bike allows for an impressive range allowing riders to go up to 55 miles on a single charge. When the battery life is spent, users have the option to pedal on their own for power. Quiet motor. The bike rides quietly even when using the electric motor for assistance. Waterproof construction. Adding to the bike’s durability, its waterproof construction ensures electronic elements are not damaged during rides in inclement weather. Included front light isn’t the greatest quality-wise. Some reviewers mention they felt it necessary to swap out the included headlamp because it simply isn't bright enough to ensure visibility. Our runner-up pick for best overall is the ProdecoTech Phantom X R V5. Although it’s not foldable, the powerful motor makes this bike perfect for commuters dealing with hilly terrain. It also provides a nice amount of shock absorption for riders and has enough battery power to get you to where you want to go. It’s better suited for tall riders, though so keep that in mind when considering this option. Easy to assemble. Most reviewers comment that putting the bike together is quite simple. Battery lasts longer than advertised. Users are happy to report that the battery life is better than they expected and allows them to go a bit farther on one charge. The advertised maximum range is about 30 miles, a little less than our top pick. Durable tires. The tires are made of Continental brand rubber and are suitable for road or packed dirt. Quality brake and gear system. Reviewers find the brake system responsive and that the 8-speed gear system works well for unassisted rides. Good suspension system. A RockShox suspension allows the bike to handle bumps in the road so users won’t feel too much of the impact. Very powerful motor. A 600W motor outfits this e-bike allowing it to reach a top speed of 20MPH and get up hills without any problems. The bike can power along easily as long as its riders don’t exceed the weight limit of 265lbs. Offers potential for storage capacity. It doesn’t come equipped with a rear-rack but there’s enough space to add one for those who require room for cargo. Not as comfortable for shorter riders. The large frame makes the bike a better option for taller riders. Those under 6’ may find the geometry awkward. The Cyclamatic CX2 Electric Foldaway Bike is our top budget pick because of its portability. It easily folds, and its front wheel can be detached for easy storage. It also happens to be highly affordable. Priced a bit higher than our runner up, it wins the top budget spot because it has a better range and top speed. It also allows the user to use pedal power should the battery run out of juice far from home. Compact and easy to fold-up for storage and transport. The collapsible nature of this e-bike makes it perfect for commuters who prefer to travel with their bike. A quick-release front wheel enables users to easily store the bike when not in use. Easily adjustable seat and handlebars. The bike seat and handlebars can be adjusted which helps to ensure the best fit. The bike is able to accommodate riders 5’2” and up. Rear rack offers the option for storage. A rack at the back of the bike provides users the option to add storage to their bike. Great battery life. Reviewers say that the bike’s charge holds well during use allowing for rides of up to 30 miles. Can comfortably climb inclines. A 250W motor on this e-bike enables it to climb moderate hills when in electric assist mode. Easy to ride and handle. 2 modes are available so riders can select whether they want to enable pedal assist or power the bike themselves. 3 levels of pedal assist allow for a customizable ride experience. The front headlight control is easily accessed via the handlebars. Easy to assemble. Reviewers said it's easy to put the bike together right out of the box. Weather resistant. Mudguards help to protect the bike frame in less than ideal weather and the electrical components are protected well enough so that rides in the rain are possible. A tad heavier than some users expected. Some reviewers commented that they find the bike a bit heavier than they might have liked. Carrying in onto a train or bus may be a bit cumbersome. Seat uncomfortable for some riders. Many reviewers state that the bike seat feels only mildly padded and is a bit hard to ride on. Lacks a suspension system. This means you’ll most likely feel all the bumps in the road. 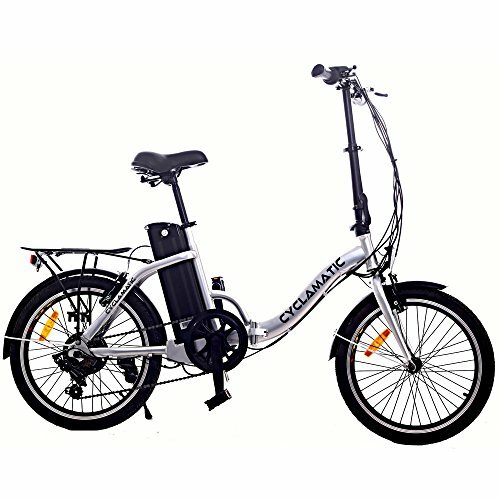 The Swagtron SwagCycle Folding Electric Bicycle is the most inexpensive option on this list. Users don’t need to worry about pedaling since the e-bike does all the work. A shorter range and limited battery life make this bike better suited for those with short commutes or those who want to run errands close to home. A convenient USB charging feature allows riders to power their devices as they head out for a ride. Very affordable. 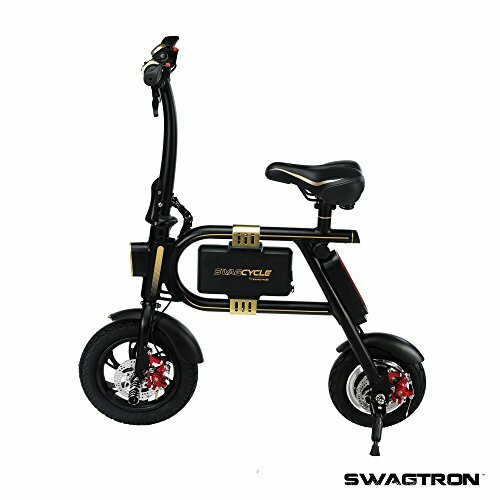 The Swagtron e-bike is super affordable and offers basic features for users who may want to try out this mode of transportation before making a bigger investment. Easy to put together. Reviewers are impressed with how easy it is to get started with the e-bike right out of the box. Extremely lightweight construction makes the bike easy to carry. The bike may be compact but it still boasts an impressive weight limit of 264lbs. Convenient handlebar display. Users can view battery status and can control the bike’s horn and headlight via the handlebars. The handlebar controls also allow riders to accelerate and break. Simple to use. Reviewers love how easy it is to ride the e-bike and appreciate the ease with which the bike can be collapsed down for carrying and storage. Includes a nifty USB charging feature. One of the only bikes on this list that allows users to charge their phone or USB device while riding. Nice design. A pedal-free design allows users to avoid pedaling so they can sit back and enjoy the ride. Handles inclines quite well. Reviewers are surprised at how well the little e-bike can handle hills. 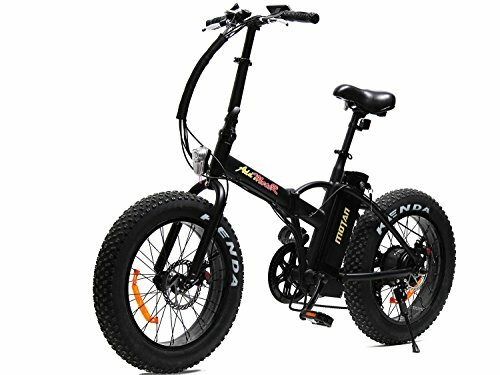 Its 250W motor is able to push the bike up moderate hills even without help from human-powered pedaling. Bright headlight for extra visibility. The front headlight on this bike is nice and bright and allows users to see ahead even in dimly lit conditions. No ability to pedal. Some users may find the lack of pedals unfortunate, especially those who are looking for the option to exercise when pedal assist is not enabled. Battery cannot be detached and replaced. A short range of just about 10 miles makes this a good option for errands close to home. Without the ability to bring along an extra battery, users will have to be careful to monitor their battery life or risk having to head home on foot. Slower than other models available. A maximum speed of 10MPH is slower than other options on this list but still respectable. 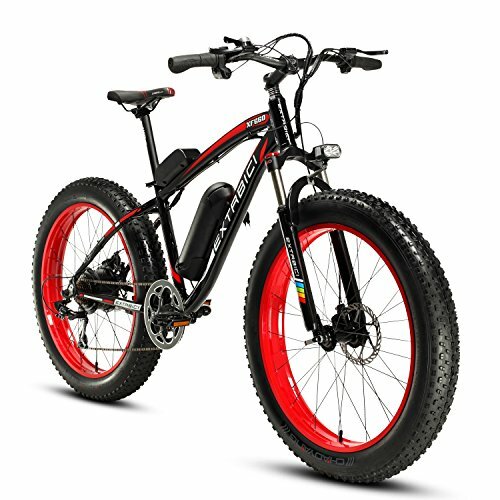 Electric mountain bikes generally feature durable construction so riders can head off-road. Most will have aggressive tire treads for gripping uneven surfaces and will be able to easily handle inclines. A suspension system will provide shock absorption when heading downhill or when encountering bumpy ground. These types of bikes are a little less portable since they tend to have a heavier build. 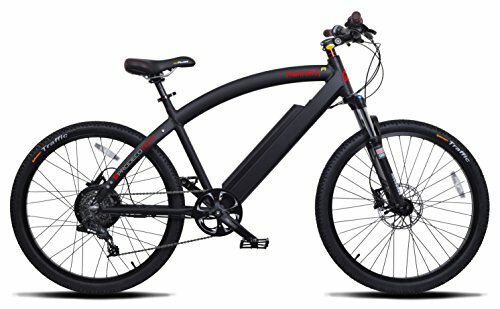 Quality materials like carbon steel and a solid construction make the Ancheer Power Plus Electric Bike Mountain Bike our top choice for off-road riding. The e-bike features a suspension system for shock absorption and is responsive when taken on technical trails. Uphill portions of a ride shouldn’t be an issue for mountain bikers heading out on hilly terrain. A single charge will allow riders to go up to 30 miles and use their own pedal power should the battery fail while on the trails. Versatile control design. The bike features 3 modes so users can choose their ride experience. A full electric mode lets the bike do all the work, a pedal assist model provides an extra boost, and non-electric mode allows users to get in a workout. 21 gears allow users to switch up the resistance when needed. Storage capacity at the rear of the bike. The rack is positioned at the back of the bike to provide users the opportunity to add pannier bags or other storage solutions. Ran quicker than many reviewers expected. Reviewers are impressed with the bike’s ability to go faster than the advertised maximum speed of 25MPH. Rides quietly. The 250W motor runs silently regardless of the selected ride mode. Easily glides uphill. Reviewers are satisfied with the bike’s ability to get up hills, even in off-road conditions. Not as heavy as other mountain bike options. The fairly lightweight bike can still handle a maximum weight limit of 330lbs. Nice range. The bike can handle up to 30 miles on one charge. Does very well off-road. A front suspension system protects riders from impact forces when riding on technical surfaces. A dual disc brake system gives the user control for easy handling. Solid construction. The bike is made of aluminum alloy and tough carbon steel. Seat not very comfortable for some. Reviewers complain that the seat lacks padding and makes the ride uncomfortable. Purchasing a padded covering for the seat may help alleviate discomfort. Kickstand not necessarily durable. Some users report that the kickstand is poor quality and breaks easily after only a short while. Winter riders need a bike that can handle whatever Mother Nature decides to dole out each day. A good winter e-bike will have aggressive tires that can handle uneven terrain and are able to grip slippery surfaces. A suspension system will help pad your bottom as you crunch through ice and snow. The Cyrusher Fat Tire Electric Bike is a great option for winter commuters who need to power through snow and ice to get to work on time. Aggressive fat tires allow the bike to grip a variety of surfaces including icy roads. The bike components are waterproofed so the bike can still provide electrical assistance even when the weather isn’t ideal. A brightly lit front light provides visibility during the dark winter months and snow storms. Removable battery for easy charging. Reviewers are quite impressed by the bike’s lithium battery which lasts longer than initially expected. Charging the bike is easy since the battery can be taken off. This also means that users who want to go longer than allowed with a single charge (up to 35 miles) can do so by bringing an extra battery. Comfortable to ride. The bike’s suspension system provides good shock absorption so users don’t feel every little part of the ride even when the ground is full of ice and snow. Aggressive tires perform well. The thick 4-inch fat tires perform well even when the conditions outside aren’t great. Waterproof construction. The electric components won’t succumb to the elements so riders can rest assured they’ll keep moving when it rains or snows. Bright headlight and loud horn. The easily accessible buttons on the handlebars allow users to turn on the front light, use the horn, and adjust gears. Easy to put together. Reviewers report that the bike is simple and frustration-free to assemble. 3 riding modes available. The e-bike can be used in three ways: full electric mode, pedal assist mode, and zero assist mode. 7 speeds allow the user to toggle the resistance as desired. Powerful motor. The 500W motor gets users over globs of snow and allows for a maximum speed of about 25MPH. Not perfect when it comes to inclines. Despite a powerful motor, the Cyrusher e-bike is not great at going uphill but it can certainly power through the snow. Seat isn't ultra-padded. Reviewers don't like the feel of the bike’s seat, adding that it feels rigid and hard. 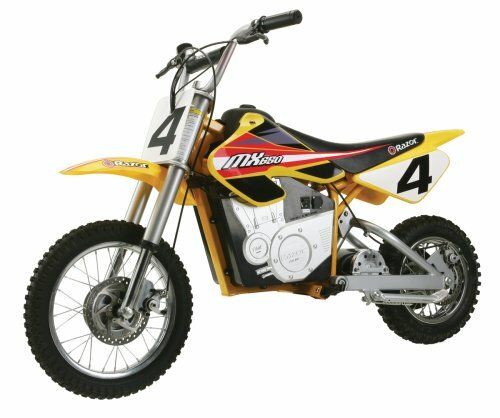 An electric dirtbike is a great starter option for kids and adults wanting to try out the sport. Generally, e-bikes of this kind are an inexpensive alternative to authentic dirtbikes. You’ll find the same structural design but with an electric motor. Most are suitable for riding trails but you’ll need a good shock system if you plan on trying out jumps and landings. The Razor MX650 Rocket Electric Motocross Bike is a good choice for new riders looking for an affordable dirtbike option. The quiet motor is still powerful and the bike can certainly take a beating. The Razor is easy to handle and responsive. Although it offers less shock protection than a traditional dirtbike, the dual suspension, and excellent tire traction allow it to handle off-road use. Quiet and powerful motor. Unlike conventional dirtbikes, the Razor’s motor is quiet and unassuming. It won’t wake up the neighborhood while you ride. The 650W motor allows for top speeds of over 15MPH and speed is adjusted via twist throttle. Suitable for both children and adults. The bike is the right size for most individuals and has a weight limit of 220lbs. Many reviewers find the bike is perfect for their kids but also added that the motor is powerful enough to handle adult-sized riders. Longer battery life than advertised. According to reviewers, the range of the bike far exceeds expectations. Users are able to ride longer than the advertised 40 minutes. Rides great off-road. The bike features knobby tires that are perfect for off-road use. A dual-suspension softens the impact of bumps when riding on uneven surfaces. Can be roughly handled and survive. Reviewers add that the e-bike is able to take quite a pounding. Of course, abusing the bike is not recommended but the steel construction is highly resistant. Easy to ride. Twist throttle acceleration, handbrakes, and foot pegs make the bike simple to ride. A simple twist increases speed, the responsive brake system is easily accessed, and foot pegs allow feet to rest comfortably as pedaling is not required. Doesn’t perform as well for larger individuals. Heavier users report that the bike is not able to reach maximum speeds. Isn’t truly designed for jumps and landings. Although the bike does have a dual suspension system and grippy tires, it’s not a replacement for a real dirt bike. Jumps and landings should be taken with caution. A little heavier than a regular e-bike. This is to be expected considering the bike has such a powerful motor. Some users explain that they find it difficult to transport the bike when not riding it.